Growing your own fruit and vegetables is a satisfying way to guarantee that you and your family enjoy healthy produce. Making the most of the space you have available is key to maximising how much you can grow. Maximise your harvests by choosing heavy-yielding types of fruits and vegetables, and the most prolific varieties. For example, a row of climbing beans will produce many pounds of pods over the growing season, making the most of vertical space and giving a greater yield for that space. 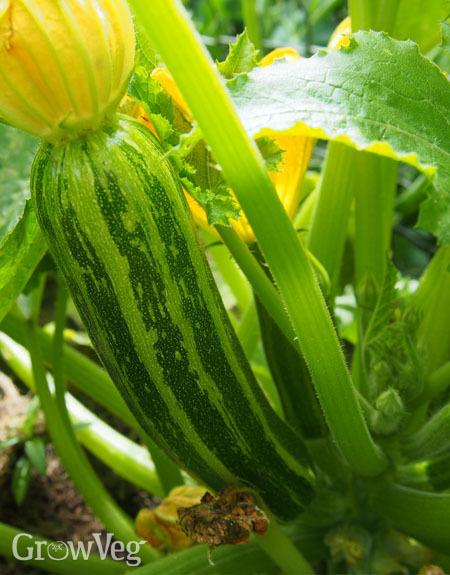 Vegetables such as courgette, squash and kale are notoriously prolific, while others like radish, salad leaves and spring onion grow so rapidly they can be sown repeatedly throughout the growing season to give several harvests. Fast-growing crops can be planted in succession so that one crop is ready to sow or plant as soon as another has finished. For example, leeks could follow on from early peas, spinach can replace onions, while spring cabbages would be ready to plant after broad beans are finished. It’s easy to plan this in our Garden Planner using the Succession Planting feature. Simply double-click a plant to set its in-ground dates, then view your plan month-by-month so you can quickly see where gaps will appear. Then, using the Custom Filter button, you can choose to show only plants that can be sown or planted during a particular month, so it’s easy to choose what you can grow next.